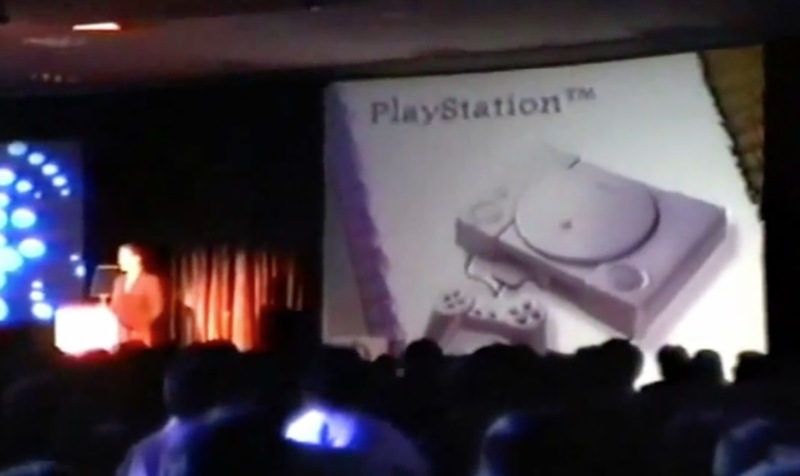 E3 History: PlayStation – Eggplante! 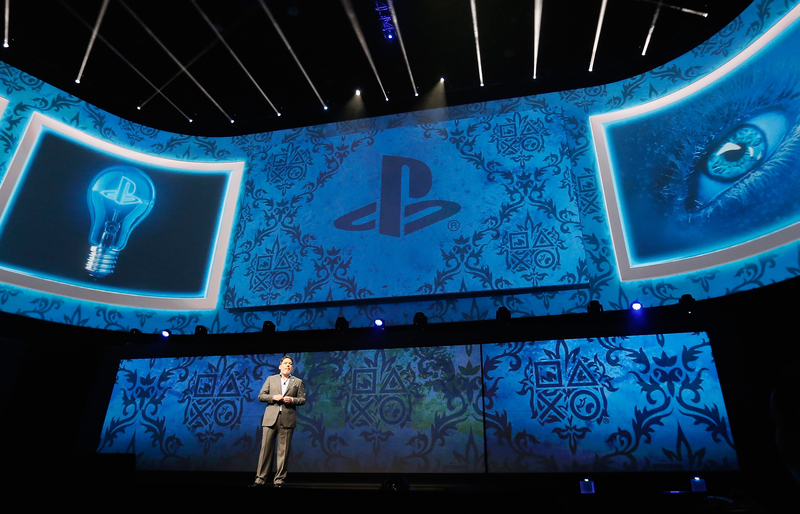 2015 - This was the year that Sony made fanboys and fangirls around the world cry with glee. The Last Guardian was finally re-introduced. Shenmue 3 was announced. Final Fantasy VII REMAKE was revealed to the world. And Sony still managed to show off new games like Horizon: Zero Dawn and gameplay footage from Uncharted 4: A Thief's End. This is an E3 that will prove tough to beat. 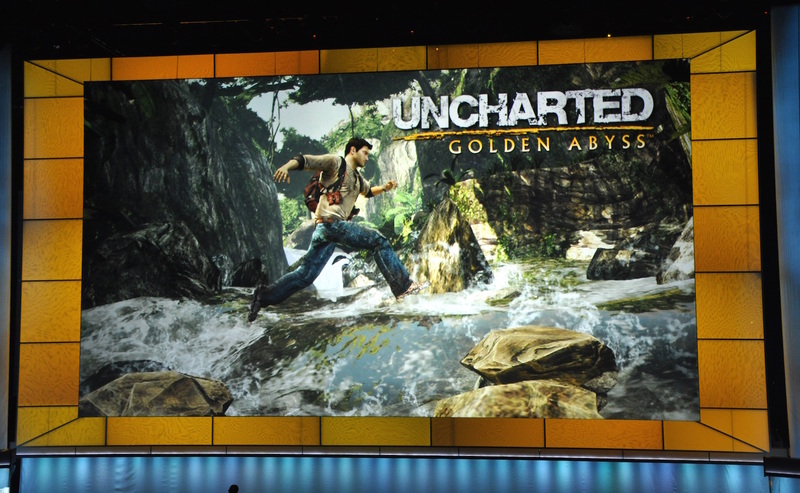 2014 - At E3 2014, Sony returned to a more content-focused presentation with games like Uncharted 4: A Thief’s End, Bloodborne, LittleBitPlanet 3, and No Man’s Sky. 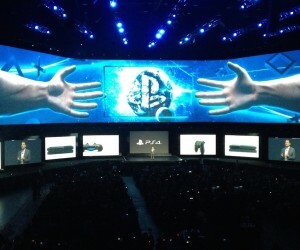 The company also showed off Powers, its new television series, as well as the promise of PlayStation TV coming to North America, a promise it fulfilled. 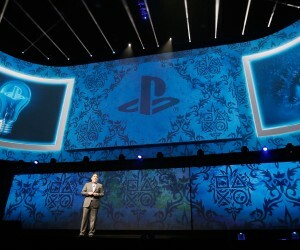 2013 - In the February before E3 2013, Sony showed off its next-generation console, the aptly-named PlayStation 4. 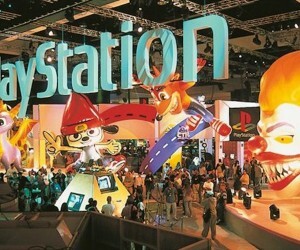 At E3 that year, Sony gave the full unveiling to its line-up of launch games, including inFAMOUS: Second Son, Killzone: Shadow Fall, The Order: 1886, and Kingdom Hearts 3. Of course, there’s one in that list that’s been notably absent since then. 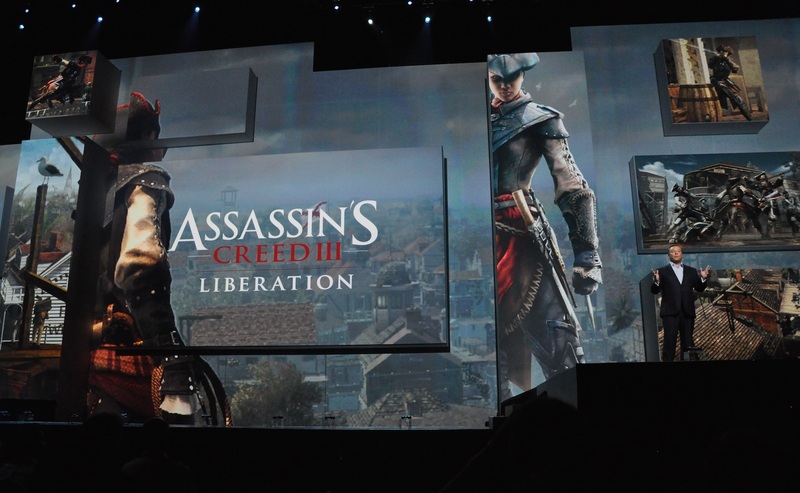 2012 - Sony’s 2012 conference was well timed and showed off new exclusive games in a beautiful way. Opened with Beyond: Two Souls and closed with a drop-the-controller demo of The Last of Us, Sony stole the show. 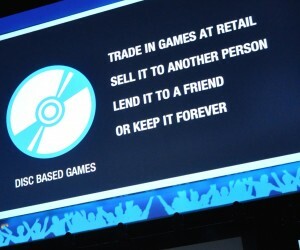 They also announced PlayStation Plus, a Smash Bros.-competitor, and God of War Ascension. 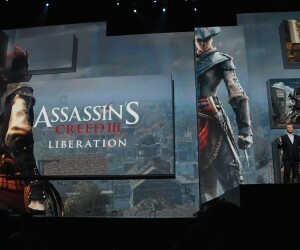 Oh, and the world’s first handheld Assassin’s Creed title with Liberation for the PS Vita. Not too shabby at all. 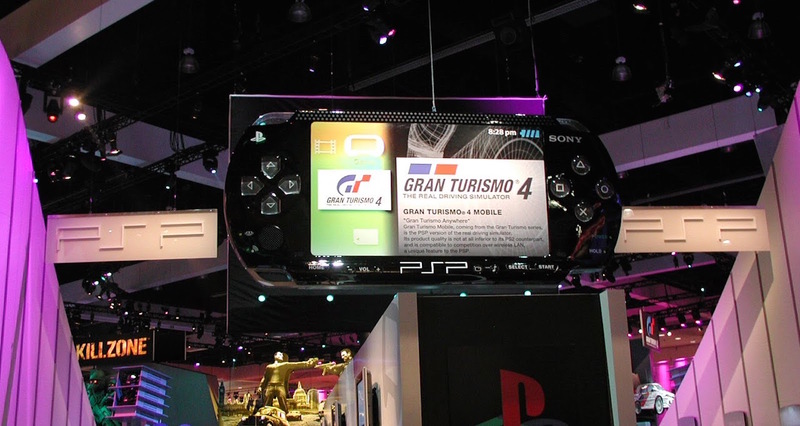 2011 - At Sony’s presentation in 2011, the company took the wraps off the PlayStation Vita which was only known as NGP, or Next Generation Portable, until that time. 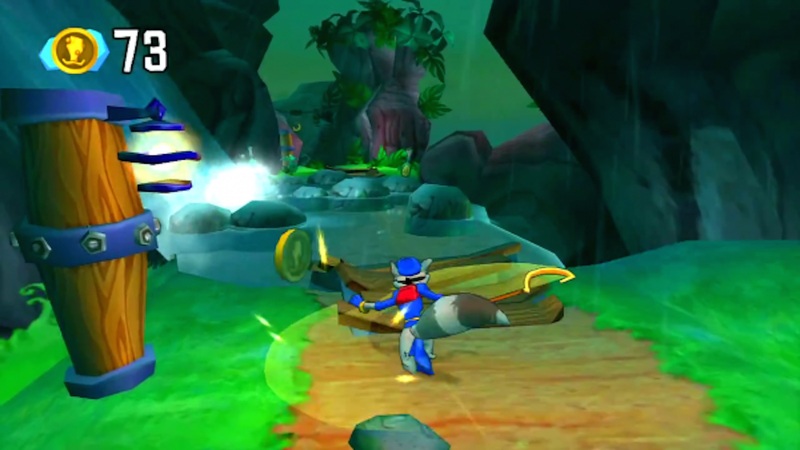 It also showed off Uncharted 3, Killzone 3, and Resistance 3, alongside BioShock Infinite (with a version of the game for the Vita which never made it to real life) and Sly Cooper 4. 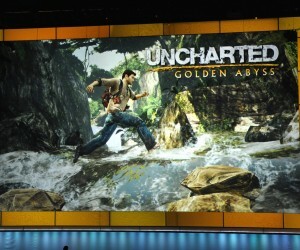 The Vita’s launch was also helped by the great response to Uncharted: Golden Abyss for the console. 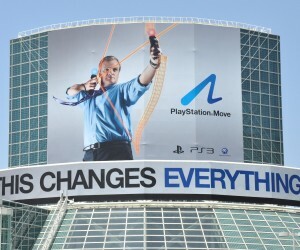 2010 - While the SIXAXIS controller was largely panned, Sony made an official play into the motion gaming category with PlayStation Move at E3 2010. The messaging was quite clouded and pricing was confusing for most. 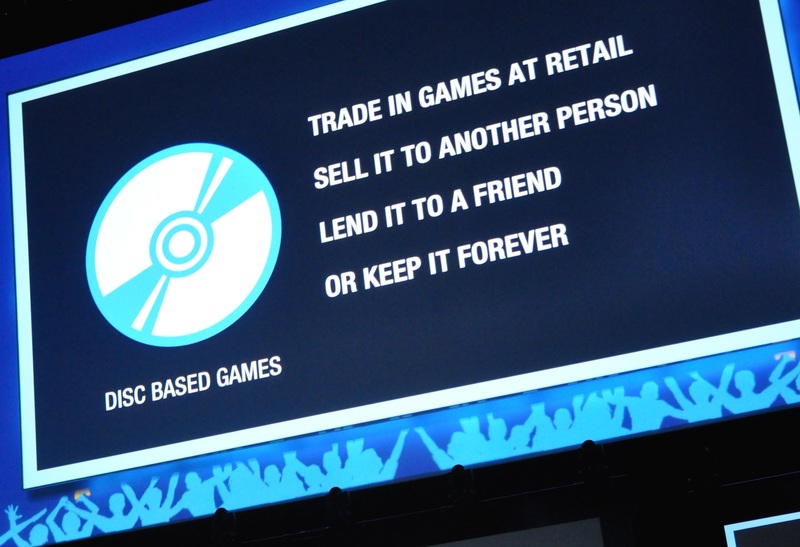 However, with inFAMOUS 2, Twisted Metal, LittleBigPlanet 2, and Gabe Newell popping up on stage to show off Portal 2 while eating a piece of humble pie, people left the presentation largely excited. Oh, and Kevin Butler showed up. 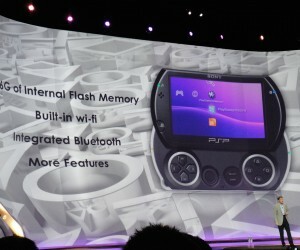 2009 - Rumours of the PSP2 started swirling in 2009, but Sony instead opted to release a redesigned version of the console dubbed the PSPgo. It would fail quite miserably, and be discontinued shortly afterwards. 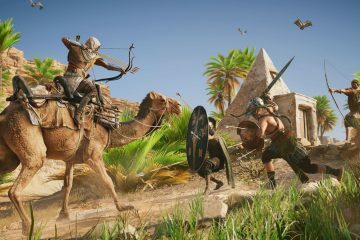 On the games front, Sony pulled out another massive year, showing off God of War III, The Last Guardian, Heavy Rain, and Uncharted 2: Among Thieves. Guess which one of those never made it out. Sad face. 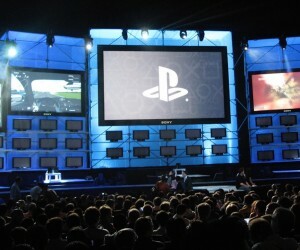 2008 - Jack Tretton took the stage in 2008 to announce a new smattering of PlayStation exclusive titles like MotorStorm: Pacific Rift, Resistance 2, and the multi-platform Resident Evil 5. 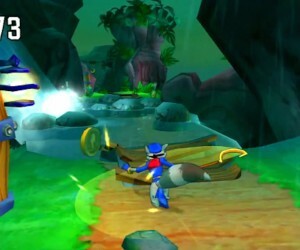 The company also talked at length about PlayStation Network and showed off its first real foray into downloadable titles with Ratchet & Clank: Quest for Booty. 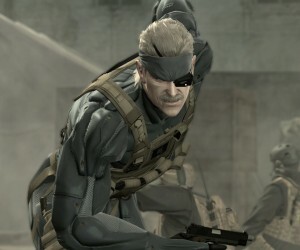 2007 - In 2007, Sony began rounding out its collection of PlayStation 3 games with the announcement of Gran Turismo 5 (a game that wouldn’t actually be released until three and a half years later), a new title called inFAMOUS, and the return of Metal Gear Solid with its fourth main-line instalment. 2006 - With the final PlayStation 3 hardware out in the open now, Sony showed off its SIXAXIS DualShock 3 controller, a direct response to Nintendo’s Wii and Wii Remote. This would also be the year that Resistance and Uncharted got their franchise debuts, both of which are still huge franchises for Sony. 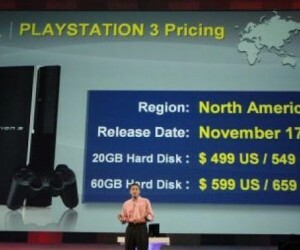 Of course, this was also the year that Sony announced a $599 console which is still one of the company’s low points. 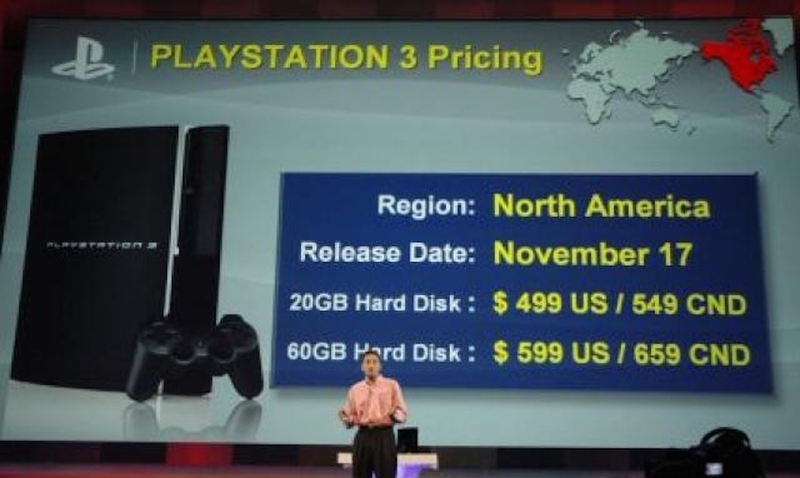 2005 - Oh, PlayStation 3. At E3 2005, Sony finally showed off its long-awaited next-generation console and audacious new boomerang controller. The mockups shown had two HDMI ports, three Ethernet ports, and six USB ports, most of which would be pared down to a single of each HDMI and Ethernet ports, along with a couple of USBs on the front and rear of the device. The boomerang controller was, of course, scrapped for the DualShock 3. 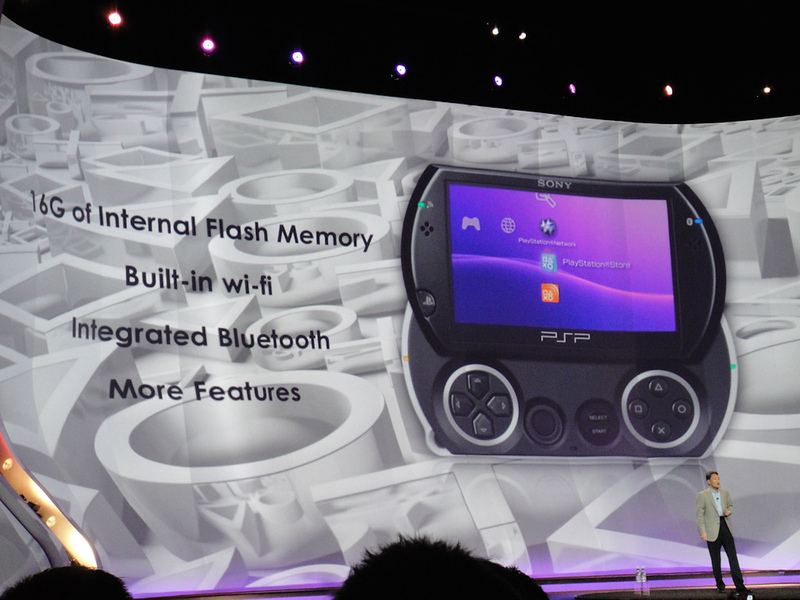 2004 - This year, we actually saw the PSP hardware as Electronic Arts President Don Mattrick joined Kaz Hirai on stage to show off EA’s support for the new portable. 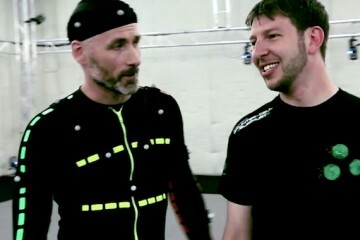 Prince of Persia: The Sands of Time was also shown off, along with a new Ratchet & Clank game and the third entry in the Jak and Daxter franchise. 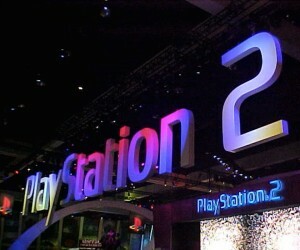 2003 - At E3 2003, Sony announced two monumental things. 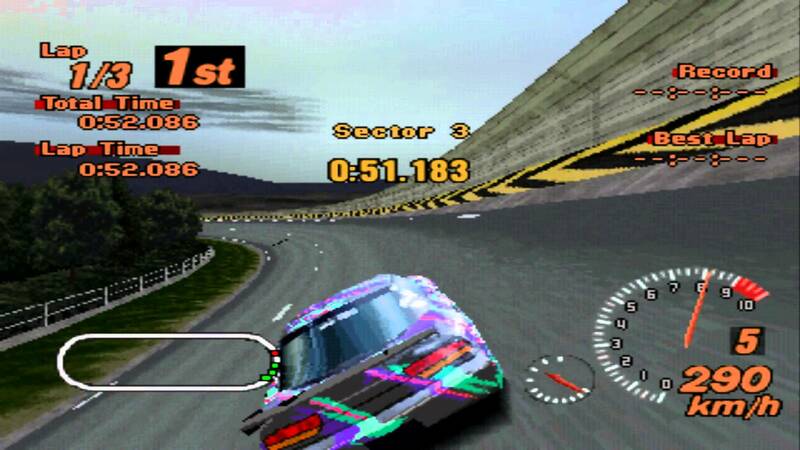 First up was the reveal of Gran Turismo 4. 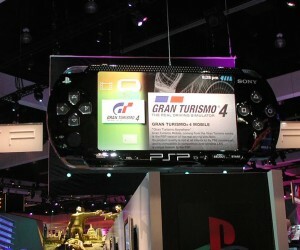 Bigger than that, however, was the surprise announcement of the PlayStation Portable, or PSP. The device had been rumoured for a long while but this was the first official announcement about it, despite it not actually being shown. 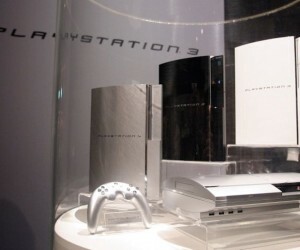 Sony also revealed much thinner PlayStation 2 hardware with a build in ethernet port to directly compete with the Xbox. 2002 - Another blockbuster year for Sony, the company learned that asserting its dominance sometimes means releasing tons of games at once. 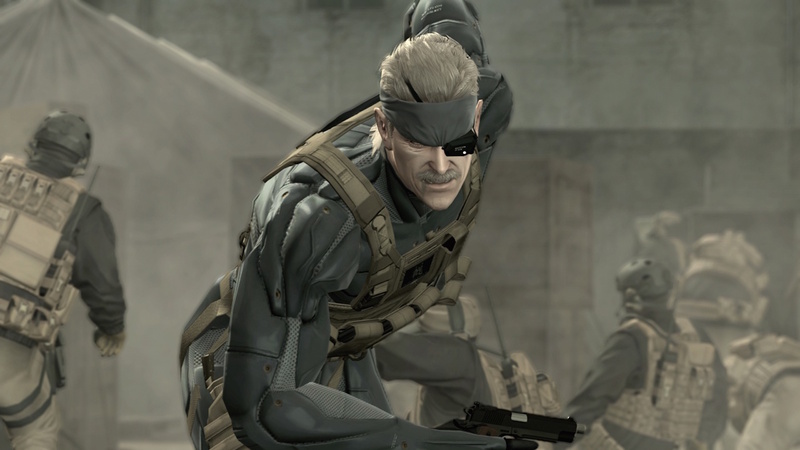 The list this year included Shinobi, Sly Cooper, Devil May Cry 2, Metal Gear Solid 2: Substance, SOCOM: US Navy Seals, and Red Faction 2. Crazy. 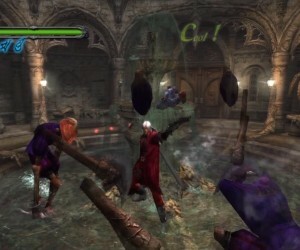 2001 - About six months after the launch of the PlayStation 2 in North America, Sony began betting on new franchises like Devil May Cry and Jak and Daxter to continue its dominance over the Dreamcast while fending off Microsoft’s entry to the gaming space. It also didn’t hurt that Klonoa 2 and Silent Hill 2 debuted that year, either. 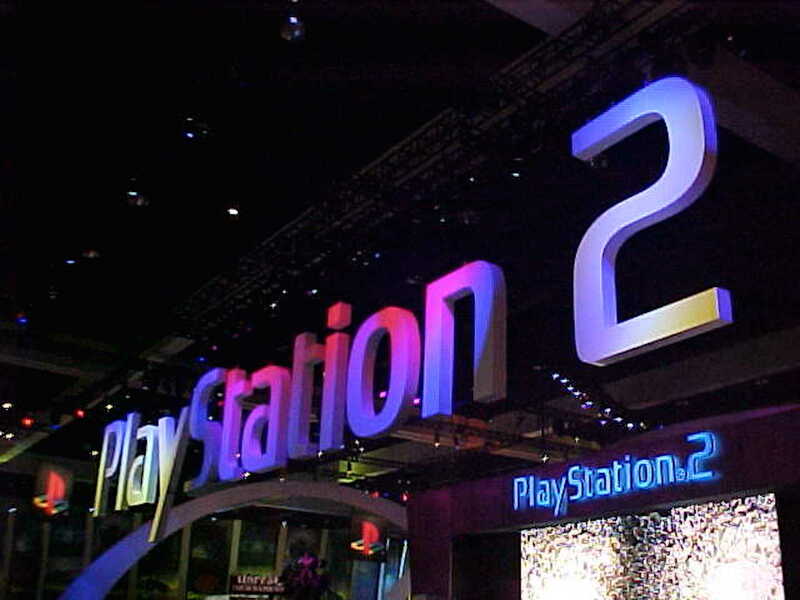 2000 - With the PlayStation 2 actually playable at E3 2000, it was time for people to get their hands on system-sellers like Metal Gear Solid 2: Sons of Liberty. The hardware had a rough launch in Japan due mainly to manufacturing delays, but it still outsold the Dreamcast at launch by about 2.5 to 1. 1999 - Coming off a stellar previous year, Sony began looking to the future as it teased its next-generation console. 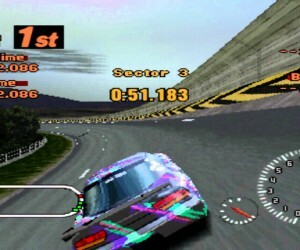 The late-cycle PlayStation games were beginning to wrap up with titles like Tony Hawk’s Pro Skater and Ape Escape, as the company geared up to officially announced PlayStation 2 in 2000. 1998 - Whew! 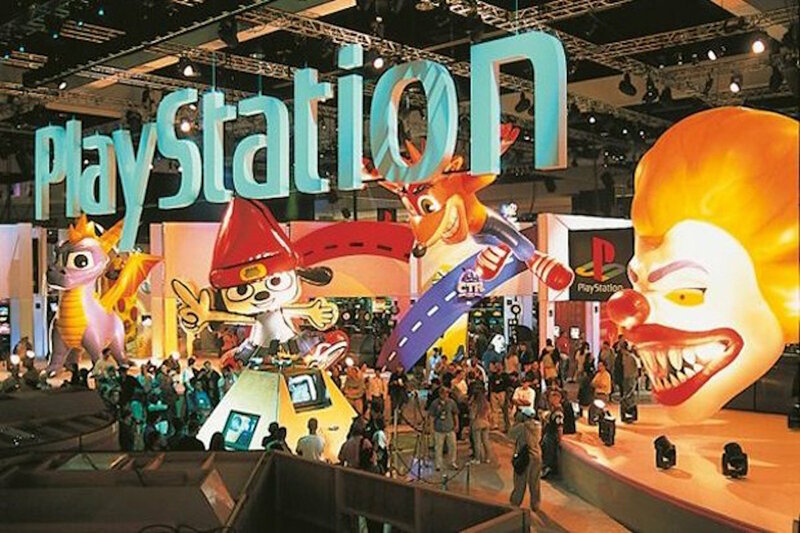 Sony had a huge year at E3 1998. 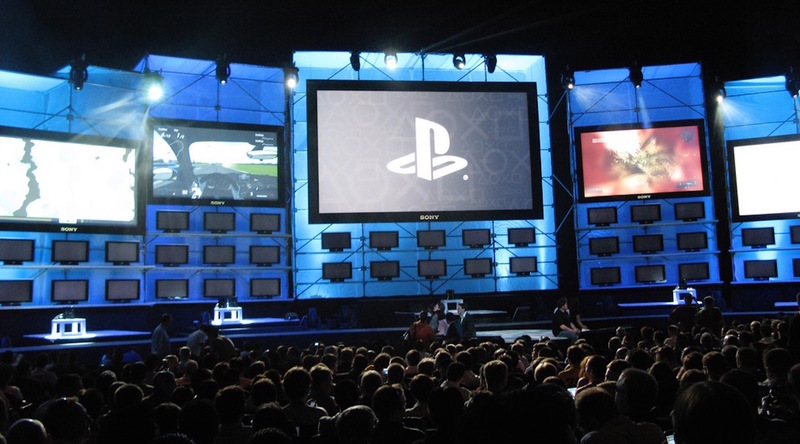 Take a look at the list of games at their show that year: Crash Bandicoot 3, Gran Turismo, Metal Gear Solid, Silent Hill, Syphon Filter, Tekken 3, Twisted Metal 3, and Final Fantasy VIII. That last one may not have been as good as its predecessor, but that is virtually every big Sony brand up until that point in time! 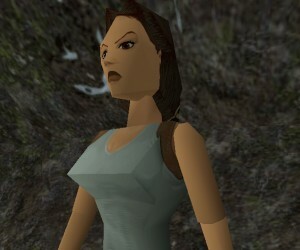 1997 - At E3 1997, the company doubled down on its hit franchise Tomb Raider by announcing a sequel, as well as debuting the Konami-made franchise Metal Gear Solid. 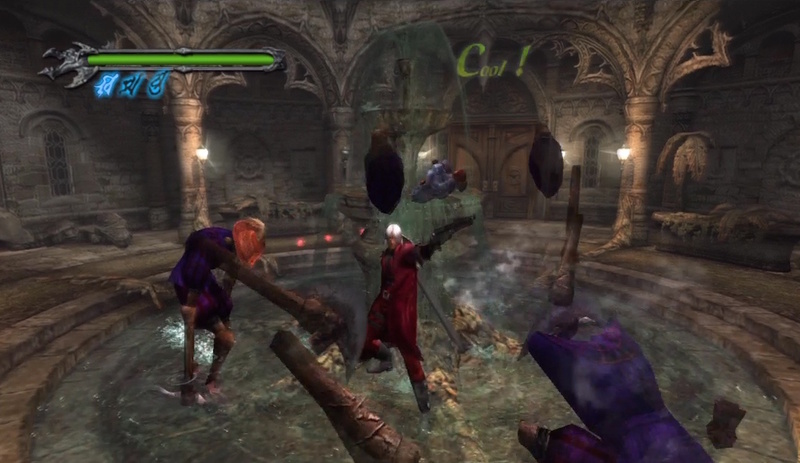 Castlevania: Symphony of the Night also made its debut on the original PlayStation, marking the beginning of the series on Sony’s console. 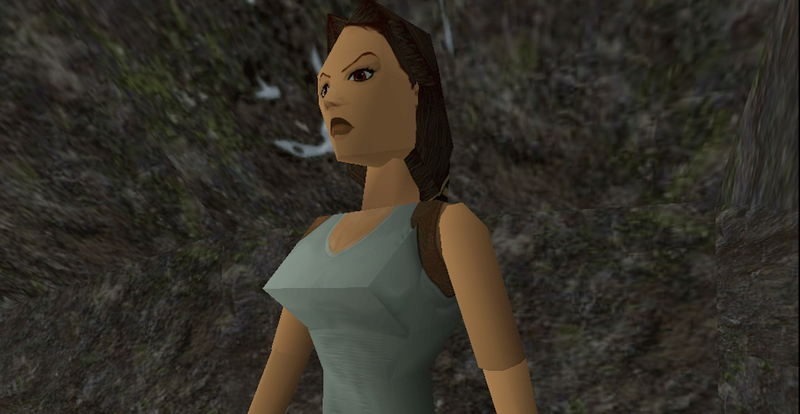 1996 - Tomb Raider made its debut at E3 1996 and made a formidable, more serious opponent for Super Mario 64 that Nintendo was unveiling just metres away. 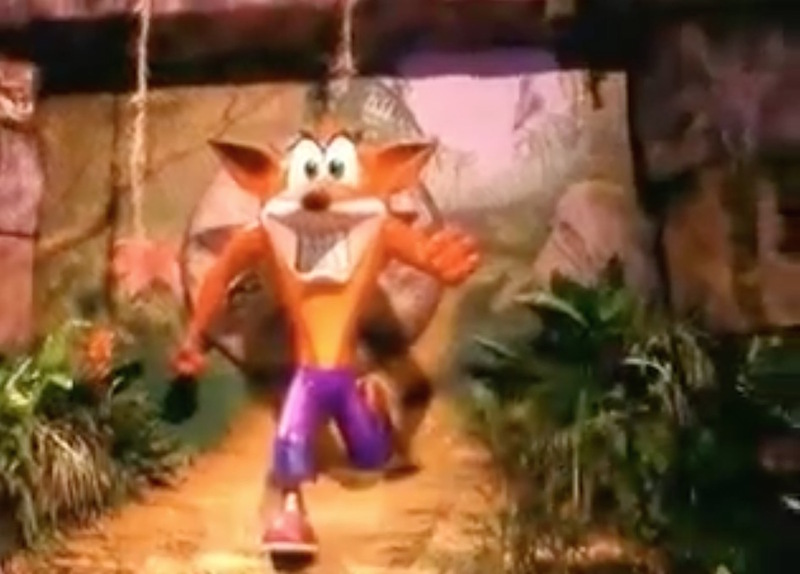 The company’s next hit character would also be shown off in the form of Crash Bandicoot. 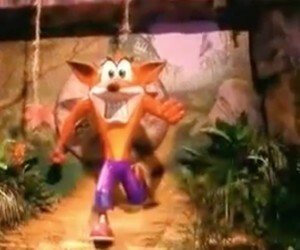 While never officially the PlayStation mascot, the character became known alongside the Sony brand and it would mark the beginning of Naughty Dog making characters for Sony that just work. 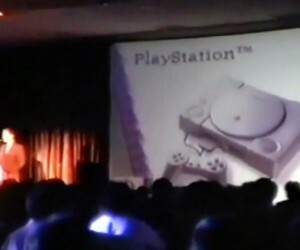 1995 - This year, Sony announced their PlayStation console. It was a direct rival to the Sega Saturn which debuted at $399. So, in a true spectacle, Sony came out and said, $299. They would return to this hundred-dollar trump card nearly 20 years later with the PlayStation 4 against Microsoft’s Xbox, though the prices would be $399 and $499, respectively. 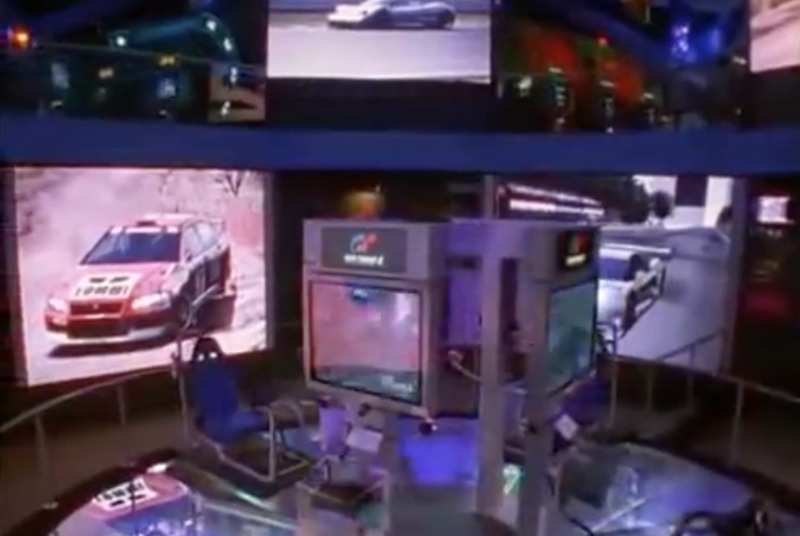 Last year, we put together a history of E3 all the way back to its inception in 1995. 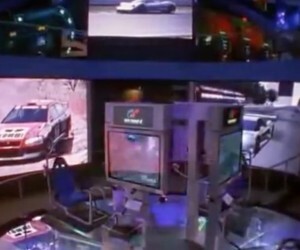 This year, we revisit the expo with an updated look at the Electronic Entertainment Expos of years past. In our next entry, we take a look at the house of Drake, Kratos, and Crash. 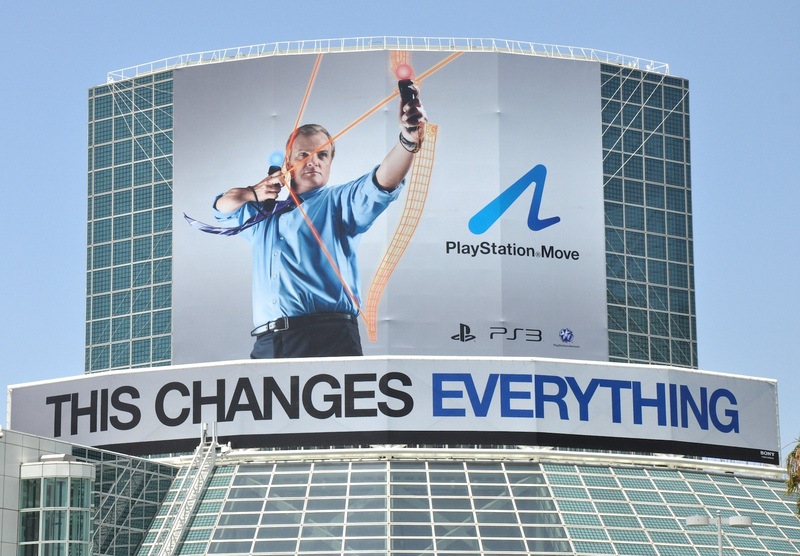 This is Sony’s history at E3.